There is a cemetery near our house which has become a woodland in the midst of the city. 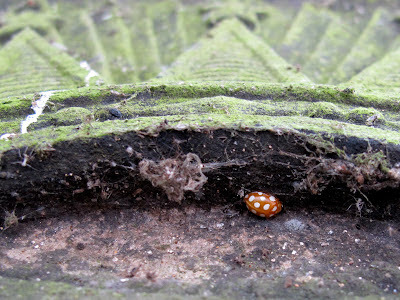 The old headstones, most covered on Ivy, are quite popular with ladybirds. 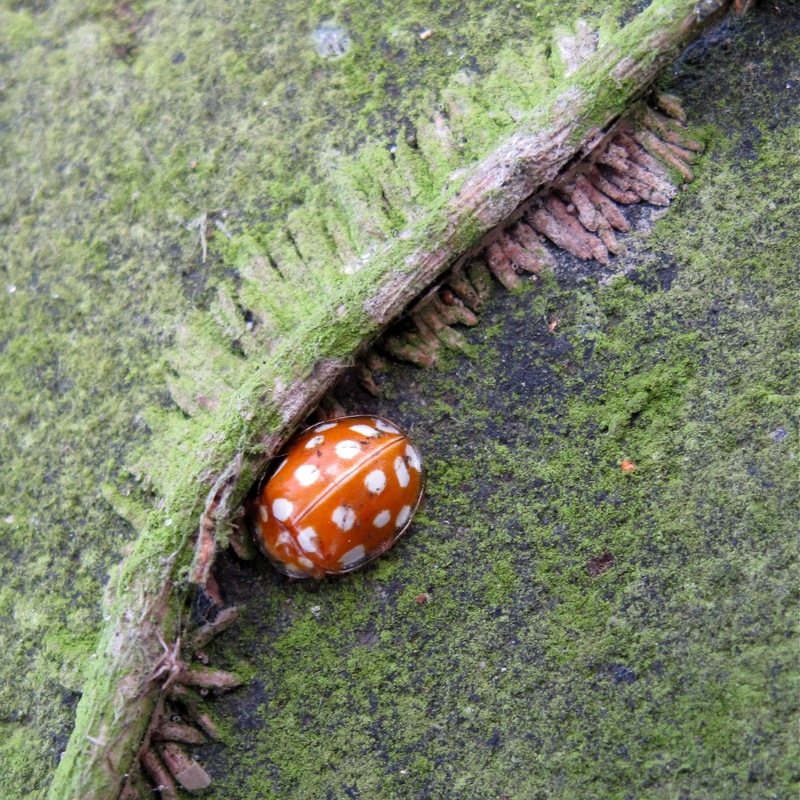 These Orange Ladybirds Halyzia 16-guttata had found shelter under the nooks of the carved headstones, or next to Ivy stems. They are beautifully patterned, with transparent edges around the elythra and pronotum: you can see its head, which is tucked, in a tortoise-like way, underneath its partially transparent pronotum. This species feeds on mildews. 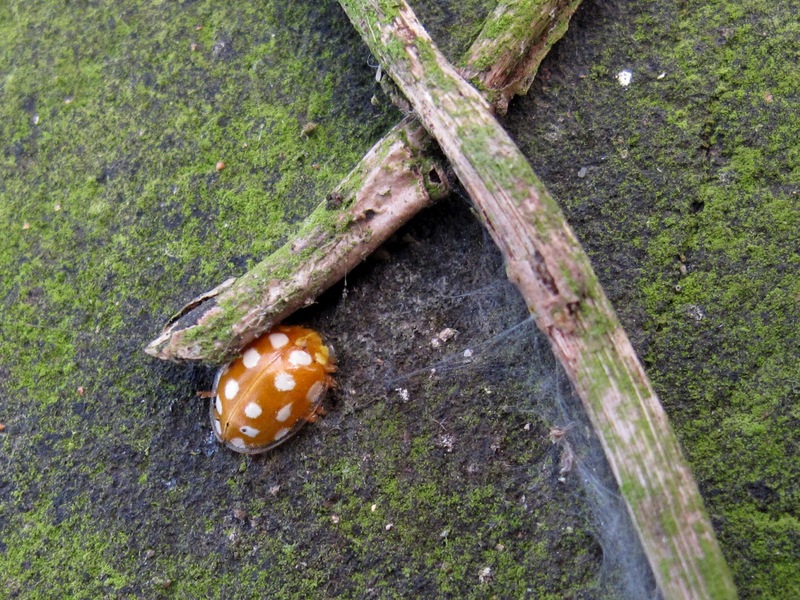 It used to be relatively rare, a marker species of old woodland, and associated to Oak, but in the last couple of decades it has broadened its diet and now feeds on Ash and Sycamore mildews, and it has become much more widespread.